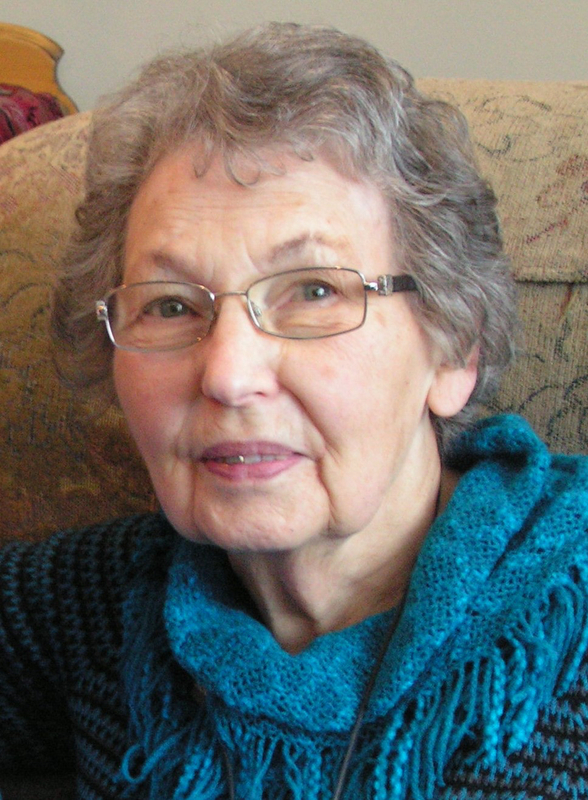 Marjorie Grace Lehmann, age 83 years of Rosthern, passed away on November 22, 2018 at the Rosthern Mennonite Nursing Home. She is survived by her loving husband, Wes Lehmann; son, Carl (Michelle) Lehmann and their family, Brittney (Tyler) Scherr, Riley; son, Murray (Cathy) Lehmann and daughter Emma; daughter, Heather (Barry) Hyde and their family, Ashlie (Demetre) Christou, Mackenzie; son, Barry (Karen) Lehmann and their family, Morgan, Joshua, Gavin; siblings, Gerald (Daisy) Frostad, Lloyd Frostad, Ellen Fixsen, June (Harvey) Sawatzky, and sister-in-law Ruth Konschuh. She was predeceased by her parents Carl and Lois Frostad; sister-in-law Mary Frostad, brother-in-law Roger Fixsen and brother-in-law Leroy Konschuh. The Funeral Service will be held on Friday, November 30, 2018 at 10:30 A.M. at the Rosthern Seventh-day Adventist Church, 1400 4th Ave. Interment will take place at Lehmann Cemetery. Arrangements are in care of Funk’s Funeral Home, Rosthern, SK (306-232-5245). Condolences from Arnie and Lorene Nickel. Marjorie and I spent much time together as we joined forces in Hospital Auxiliary projects. It was Marjorie that presented me with an honorary life membership when I left Rosthern. I always appreciated and respected her opinions and the exemplary way in which she ran an organization. May the good memories you have sustain your family as you grieve her loss. So sorry for your loss. Always enjoyed our visits at Shorthorn events.